Good for use in savory dishes with duck and pork, vegetable dishes, marinades, fish and shellfish, tomato based sauces, sweet and savoury mixtures with nuts and fruit, especially figs and chestnuts. 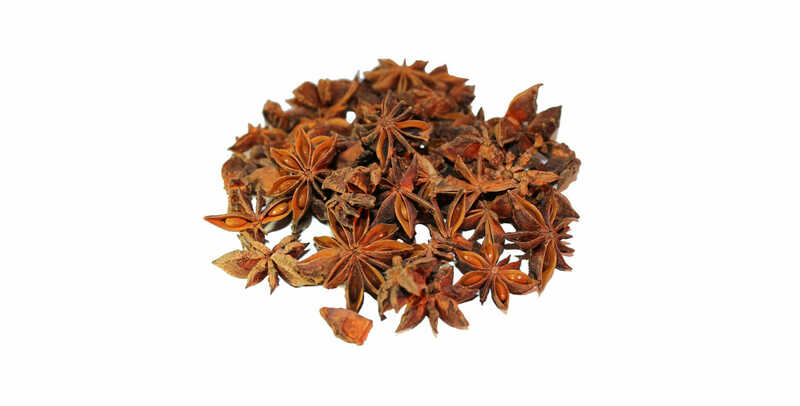 Native to China and Vietnam, star anise is today grown almost exclusively in southern China, Indo-China, and Japan. It was first introduced into Europe in the seventeenth century. The oil, produced by a process of steam extraction, is substituted for European aniseed in commercial drinks. These hard sections are seed pods. Tough skinned and rust coloured, they measure up to 3cm (1-1/4”) long. The fruit is picked before it can ripen, and dried. The stars are available whole, or ground to a red-brown powder. Star anise is used in the East as aniseed is in the West. 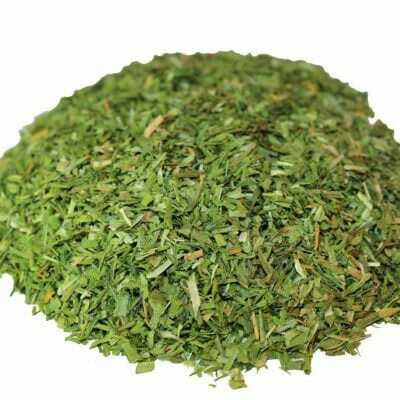 Apart from its use in sweetmeats and confectionery, where sweeteners must be added, it contributes to meat and poultry dishes, combining especially well with pork and duck. In Chinese red cooking, where the ingredients are simmered for a lengthy period in dark soy sauce, star anise is nearly always added to beef and chicken dishes. Chinese stocks and soups very often contain the spice. It flavours marbled eggs, a decorative Chinese hors d’oeuvre or snack. Mandarins with jaded palates chew the whole dried fruit habitually as a post-prandial digestant and breath sweetener – an oriental comfit. It is an ingredient of the mixture known as “Chinese Five Spices”.